2018 has been another amazing year for Green Beauty and with more and more consumers wanting to make the switch to cleaner and more natural beauty products, I just had to include a whole host of my favourite brands in this special Gift Guide edit. 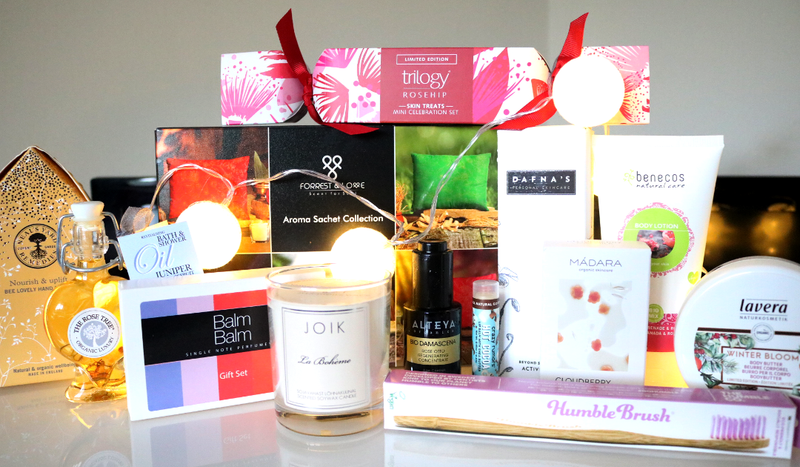 If you want to introduce a friend or family member to the world of Green Beauty, these stocking filler friendly products are ideal - you could even buy a few and make them a festive beauty box. 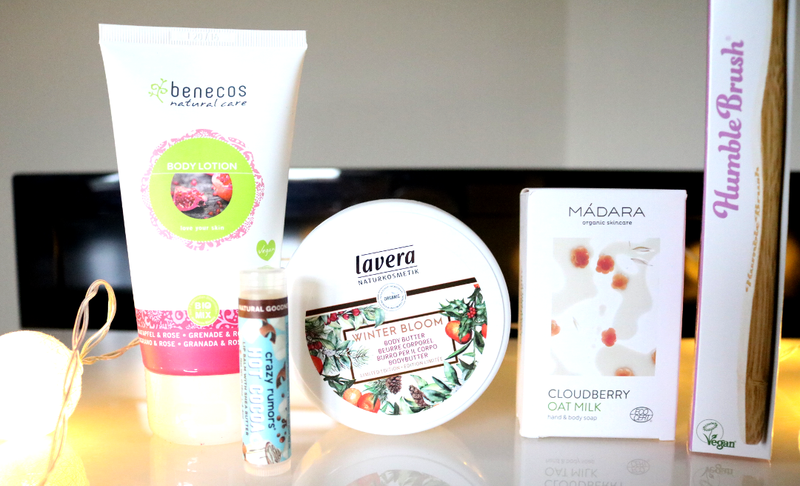 My top picks include Benecos Body Lotion in Pomegranate & Rose* (150ml, £5.95, link), which is a lovely vegan and budget-friendly option with a light and hydrating texture, plus it smells beautiful too. I'm also a big fan of Crazy Rumors Lip Balms and this one in Hot Cocoa* (4.4g, £3.99, link) is not only super moisturising for dry lips, but tastes good enough to eat! Lavera has released some special editions for Christmas and their Winter Bloom Body Butter* (150ml, £10.90, link) is a gorgeous product with a real luxury feel for instantly velvety soft skin. It smells so festive with Organic Mandarin and Coconut - I think this would make a great Secret Santa gift as well. Going plastic-free has been big news this year (and rightly so), and there are plenty of plastic-free stocking fillers out there. Two that I would highly recommend are Madara Cloudberry Oat Milk Hand & Body Soap* (150g, £6.50, link), a heavenly, ultra-nourishing formula that's gentle on sensitive skin, and The Humble Co. Humble Brush* (£3.99, link), the world's bestselling plastic-free toothbrush that's made from sustainable, eco-friendly organic bamboo. Available in a range of different bristle colours and with options for adults and children, this ethical brand also funds The Humble Smile Foundation which supports healthcare projects around the world for children in need. 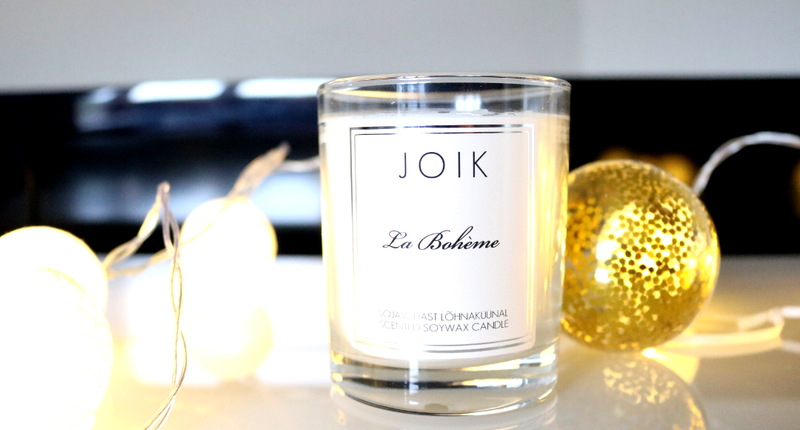 I love JOIK's range of soy wax candles with its impressive variety of fragrances, there's something for everyone and they do festive/wintery candles particularly well. This one named La Bohème is a sultry and enchanting blend of Musk, Spices, Sandalwood, Patchouli, Carnation, Bergamot, Jasmine and a little Vanilla thrown in for good measure. Each candle burns for around 30 hours and because it's made from natural soy wax, it will have a cleaner burn than traditional paraffin-based candles. 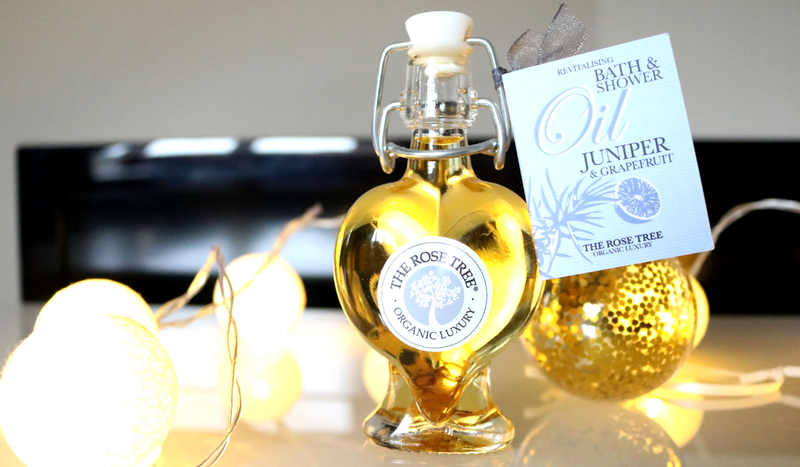 Give the gift of relaxation with The Rose Tree's Revitalising Bath & Shower Oil in Juniper & Grapefruit, which will de-stress busy minds and help to uplift and invigorate the senses. The beautiful heart shaped glass bottle houses a sublime blend of powerful botanicals and flower oils so your recipient can recreate their own spa experience in the comfort of their bathroom. Looking for something more floral? Check out The Rose Tree Calming Bath & Shower Oil in Rose & Ylang Ylang which I featured in this post earlier in the year - it comes in the same gorgeous bottle and smells oh-so-good. Fragrance lovers will adore the Balm Balm Single Note Perfumes Gift Set which features five mini bottles of the brand's bestselling single note fragrances. There's Lavender, Rose Geranium, Ylang Ylang, Mandarin and Bergamot, for a complete scent wardrobe that can be worn individually or layered to create your own bespoke fragrance. Neal's Yard Remedies have really outdone themselves with their exquisite range of gifts this year, all of which feature lovely festive packaging. 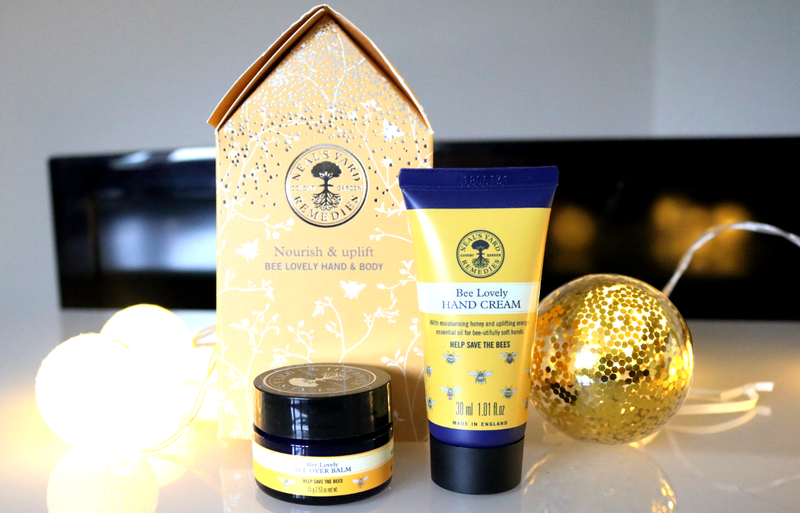 My top pick from them is this Bee Lovely Hand & Body Gift Set that comprises of a Bee Lovely All Over Balm (15g) and a Bee Lovely Hand Cream (30ml). Both of these products are perfect for anyone who deserves some TLC, and especially for gardeners and people who use their hands at work a lot. And being from Neal's Yard Remedies Bee Lovely range, they have a gorgeous uplifting and citrusy scent to help chase away those winter blues. 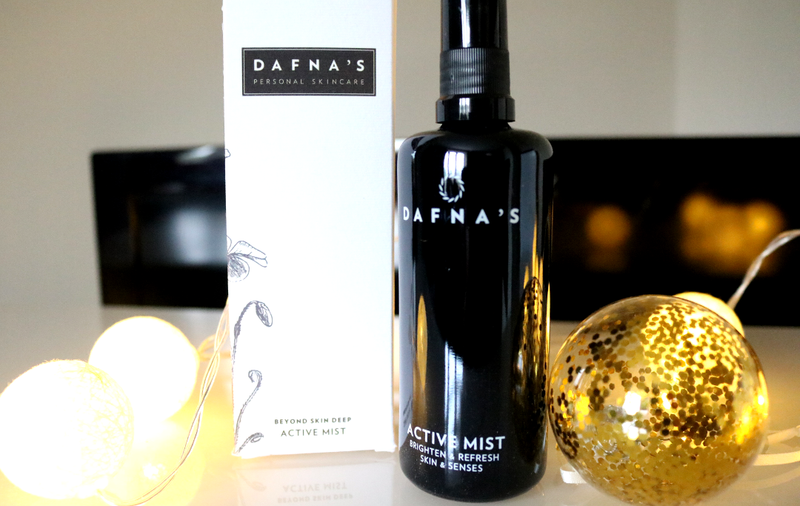 Aromatherapy products are always popular around the busy and often stressful Christmas period, and this unique Active Mist from the luxury brand Dafna's, marries together an expert blend of essential oils with skin-boosting plant extracts and oils. This 100% natural and vegan-friendly product will help to create calm, reduce anxiety and irritability, and leave the skin hydrated, fresh, nourished and glowing at the same time. 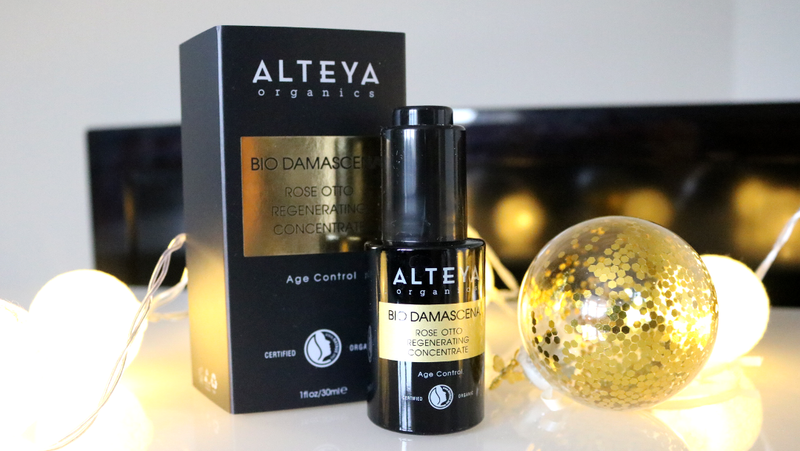 I'm a big fan of Alteya Organics, having recently reviewed some of their products here, and I'm thrilled to feature this luxury skincare treat from them - the Rose Regenerating Concentrate. This high performance, anti-ageing serum is packed full of natural bioactive organic ingredients which help to transform the texture of the skin, making it smoother and more even; improve radiance, reduce the appearance of fine lines and wrinkles and give the skin its youthful bounce back. Quickly absorbed, this concentrate gets to work fast and you'll be able to see a noticeable difference after just the first use, with more results evident in just 30 days. One for mums, grans and aunties! You can't beat a Christmas cracker that's filled with natural skincare minis, can you? 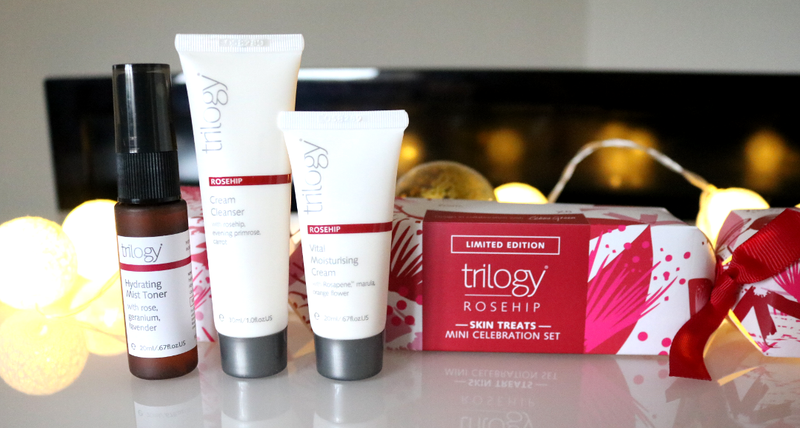 This affordable festive gift set from Trilogy features three of the brand's most popular products from their bestselling Rosehip range; Cream Cleanser (30ml), Hydrating Mist Toner (20ml) and Vital Moisturising Cream (20ml). A lovely introduction to the brand and ideal for anyone who travels a lot and wants a three-step, travel-sized skincare routine to pop into their carry-on bag. Looking for something truly unique and different for that person on your shopping list that has everything? 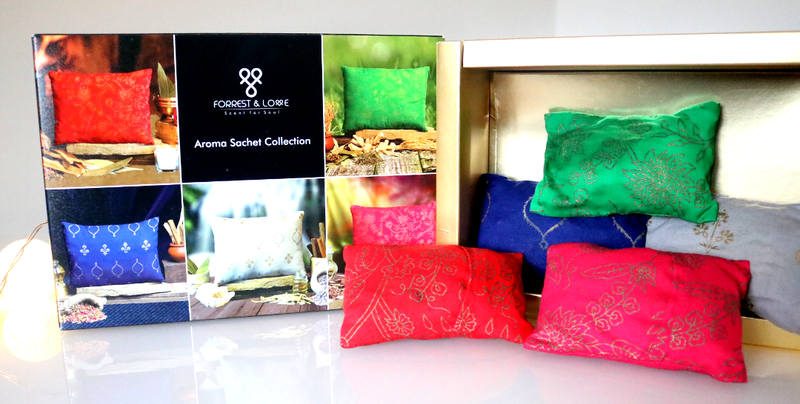 Surprise them with the Forrest & Love Sachet Collection - a gift set of five mini aromatherapy cushions that they can use around the home and in the car to restore balance to the mind, body and soul. Each handmade, cruelty-free and biodegradable cushion is made from 100% cotton and contains a blend of different herbs, spices and essential oils. There's one for Love, Meditation, Positivity, Tranquillity and Energy, and these can be placed in handbags, clothes drawers, in the car etc, to replace artificially fragranced products that are bad for your health. They smell wonderful! Which green beauty gifts are on your wishlist this year?